I remember when I was young wanting to do sports and only being able to run track, not because I really wanted to but because that is what my best friend did and her mother was always willing to take me along . There were many times that her house was like a second home for me. Not sure if my mother ever saw me run. I worry sometimes but I seem to be the only one. Both girls are doing great in school. They are happy and healthy. Really all that matters. I guess my job is to make sure we stay on track and react quickly if something goes off the track. 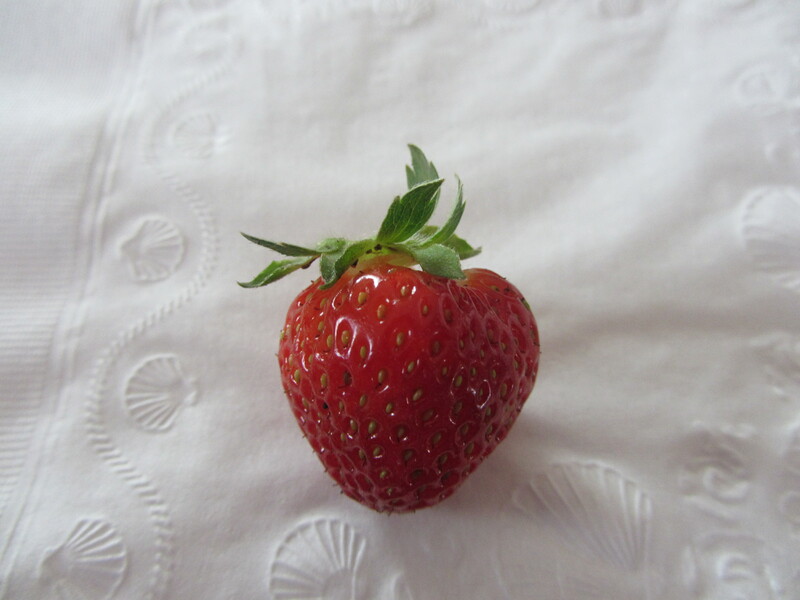 Rapid subject change…our garden has produced the first crop of the year! (if you can call 4 strawberries a crop) We are so excited since the berries were not very successful last year. They were a bit sour but still very tasty! We expanded the garden this year…attempting cucumbers and corn along with the tomatoes, peppers and strawberries. I enjoy working in the garden. Something productive that is good for the entire family both for healthy food and the quality time spent working it together. Helps keep my mind off the mastectomy which is also good for everyone!